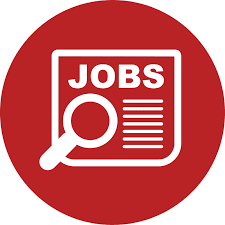 SRI Executive Search has been contracted by the Elizabeth Glaser Pediatric AIDS Foundation to assist with the search for an exceptional local candidate to fill the position of Country Director, Tanzania. The Elizabeth Glaser Pediatric AIDS Foundation is a global leader in the fight against pediatric HIV and AIDS, working in nineteen countries and nearly 5,000 sites around the world to prevent transmission of HIV to children and to help those already infected. The Foundation’s global mission is to implement prevention, care, and treatment; to further advance innovative research and to execute strategic and targeted global advocacy activities to bring dramatic change to the lives of millions of women, children and families worldwide. 10+ years of successful experience managing complex multi-sector international development programs in an African setting; experience in Tanzania preferred. At least 7 years of proven experience in managing US government grants and/or cooperative agreements. Other international donor experiences an advantage. Experience in managing large grants of over $50M in value would be desirable. Comprehensive knowledge of HIV prevention, care, and treatment; knowledge of HIV issues in Tanzania with emphasis on pediatric HIV issues and challenges. At least 7 years of proven experience in leading and managing staff, including recruitment, staff development, training, mentoring, and performance assessment. Proven experience in networking, public relations, communications, advocacy, and new business development. If you wish to be considered for this position, please forward a copy of your CV and a supporting letter in Microsoft Word format, along with any relevant documentation to Ms. Eva Toledo at etoledo@sri-executive.com on or before 4th of October 2018 at 5 pm GMT. All information will be in the strictest confidence as we pride ourselves on our professional service. We will revert to you as soon as feasible when we have reviewed your application.